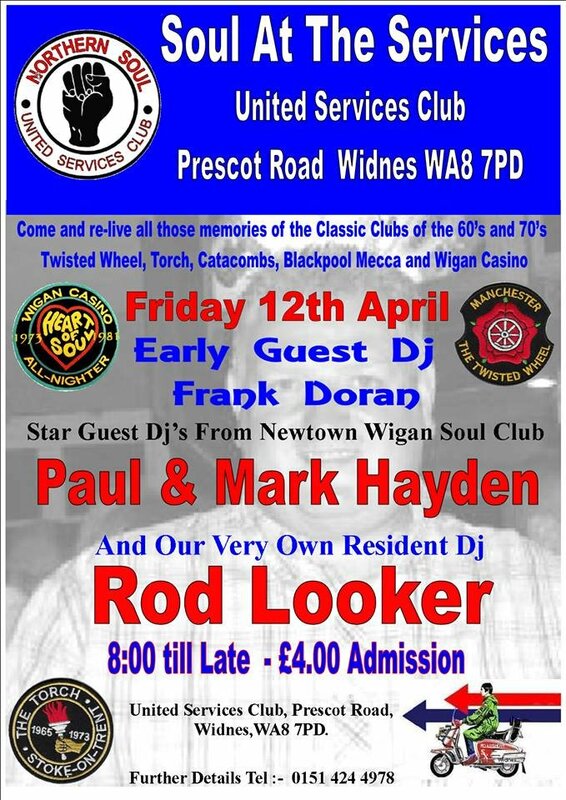 April sees the welcome return to the decks of Frank Doran aka Frankie B Sides, Frank needs little introduction having been a regular DJ & promoter for the Runcorn Soul Club events at various venues and I know he is looking forward to spinning his tunes for our early guest spot Frank will be playing from 9:00 pm until 10:00 pm, and making their second appearance at S.A.T.S will be the Newtown Soul Club Wigan promoters & DJ's Mark & Paul Hayden, which all points to another great night, Our resident DJ Rod Looker will be filling in all the gaps and we look forward to greeting all our regulars and hopefully some more new faces will come along to help us all to "Keep On Keeping On"
What a fantastic night at SATS again last night well done Rod Looker and the guests. The Hayden brothers never disappoint and Franks early spot was top notch. Can’t wait for the next one.